30 Years ago my family and I visited the Kruger National Park, (recommended by my late mother) and we have never regretted that trip and visited the park at every opportunity thereafter. Thepe Tours and Safaris was then born a few years later, out of a passion for the bush and also wanting to share the “wonders of creation” and impart personal knowledge with guests. 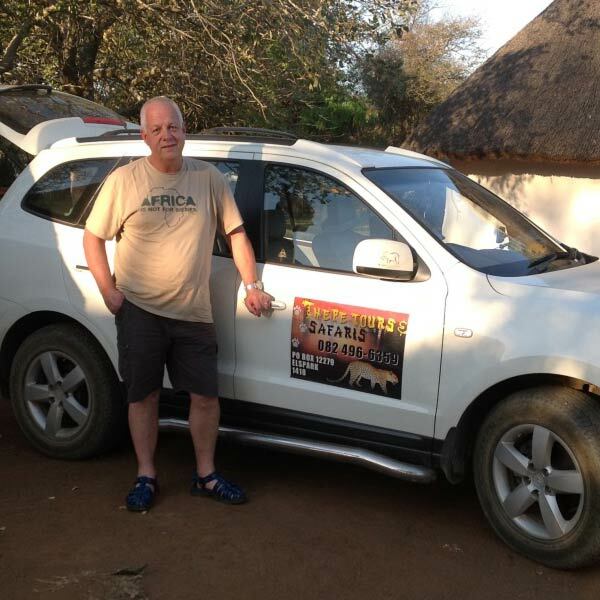 Owner / Guide - Per Larsen has vast experience having done several years voluntary work for the SA National Parks, as an Honorary Ranger, involved in all aspects of Tourism. Per also has a FGASA qualification, completed various tourism and wildlife related courses and is also registered with Cathsseta Nature Site Guide Level 2. Looking for help to plan your next trip? Click the button to get started!